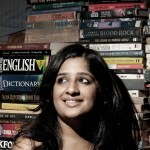 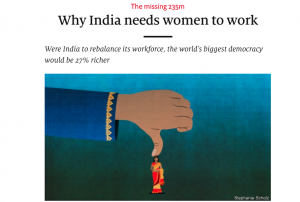 The Economist announced in its latest issue that Indian women should get the right to work. 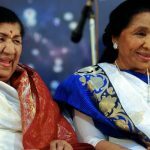 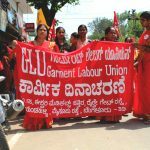 The article begins with Lakshmi (the goddess one, not your friend or the model) and has one delightfully practical nugget, “gentlemen, spending just two hours a week doing the dishes or putting the kids to bed, would translate into a ten percentage point increase in female labour participation.” Oh my friends we need to talk about female labour participation, unsexy as it is. 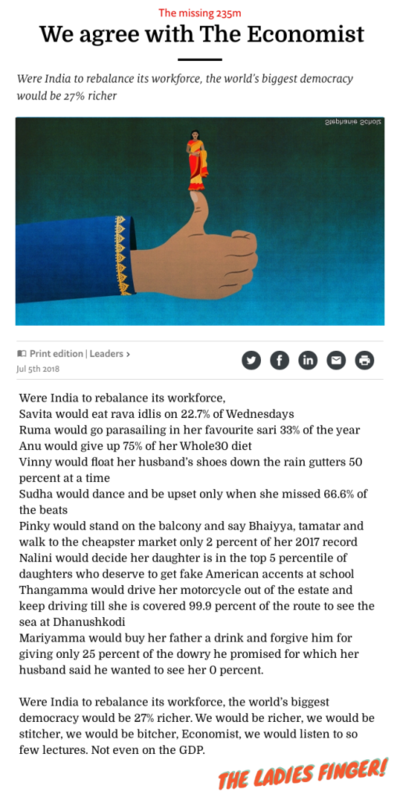 But The Economist’s argument for why women should be working is so awesome — that India would be 27% richer — that we decided to write them a poem (not really) as a rejoinder.